It is time to call out politicians who use the authority of government to weaken existing unions and to thrwart the right to organize. If a United States senator claims that a key manufacturing facility in his home state would lose a new product line if workers were to vote for a union, might the workers be less inclined to vote for the union? If legislative leaders in that state threaten to withhold tax incentives for future expansion of the manufacturing facility if a pro-union vote was recorded, might that influence the election? It would be absurd to try to deny the influence that top elected officials, with powerful connections and control of treasuries and tax policies, could have were they to intervene in this way. It would be equally absurd for the union to simply walk away from such a blatant assault on not just the rights of workers but the rule of law. The United Automobile, Aerospace and Agricultural Implement Workers of America, with it’s almost eighty-year history of fighting not just for labor rights but for civil rights and civil liberties in the United States and around the world, is not inclined toward absurdity. So UAW President Bob King announced Friday that the union has asked the National Labor Relations Board (NLRB) to investigate the extraordinary level of interference by politicians and outside special interest groups in the mid-February representation election at Volkswagen’s state-of-the-art plant in Chattanooga, Tennessee. In the complaint that could lead to an NLRB decision to set aside the controversial result of the first vote and arrange a new election, the UAW argues that top Tennessee Republicans “conducted what appears to have been a coordinated and widely-publicized coercive campaign, in concert with their staffs and others, to deprive VWGOA workers of their federally-protected right, through the election, to support and select the UAW.” The campaign by the elected officials, in combination with efforts by anti-union groups from outside Tennessee to publicize it, was “clearly designed to influence the votes” of Volkswagen workers. The process of challenging the vote is likely to be costly and complex. Success is far from guaranteed. But the complaint is credible, and it is vital to the discourse about the future of unions—and the role that right-wing politicians hope to play in thwarting labor organizing not just in the South but nationally. At a time when Republican governors and legislators across the country are using the authority of government to undermine union organizing and to weaken existing unions, it is entirely appropriate—and increasingly necessary—to raise objections to obvious abuses of power and the public trust. 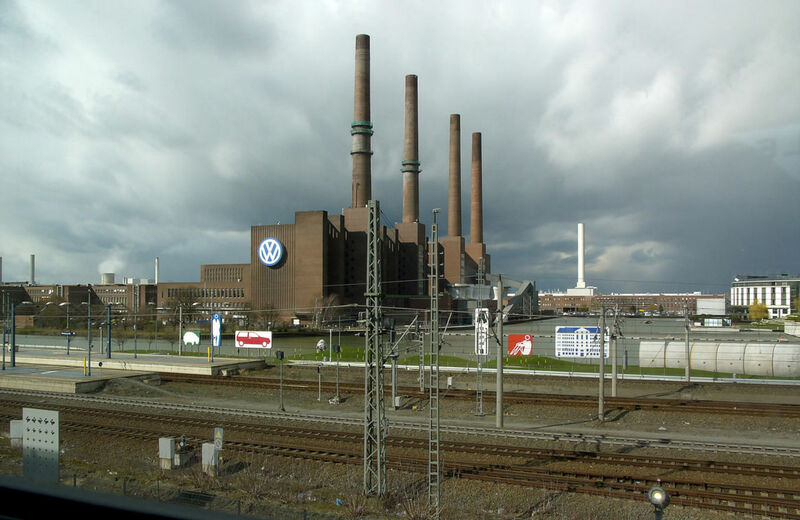 The Volkswagen vote provides a glaring example of the extremes to which anti-union politicians will go. By any reasonable measure, the most aggressive campaign to prevent Tennessee Volkswagen workers from deciding for themselves about whether to join the UAW was not waged by the company, nor even by the usual cabal of Koch Brothers-funded zealots from Washington. As the high-stakes vote at the Chattanooga plant approached, the most prominent and powerful Republican elected officials in the region used their positions of public trust and responsibility to attack the UAW and to suggest that a pro-union vote would harm efforts to expand the plant and bring new jobs to the region. Republican US Senator Bob Corker, a former mayor of Chattanooga, began claiming just hours before the voting began that a new product line would come to the plant if workers voted against the union—and indicated that the line might be lost if the workers chose UAW representation. Volkswagen officials vigorously denied that this was the case, and Corker was never able to produce any evidence to support his claims. Yet, because he made them on the eve of the vote, they were not effectively refuted. Similarly, State Senate Speaker Pro Tem Bo Watson, a powerful Republican legislator, held a news conference two days before the vote in which he declared that a vote for the union would be “un-American” and announced that the Republican-controlled state Legislature would be disinclined toward providing aid that would assist in the expansion of production at that plant. That was no idle threat, as the state provided a $500 million incentive package to help lure Volkswagen to Chattanooga in 2008. Tennessee Governor Bill Haslam played along with the anti-union campaign, lending further credence to the threats. “In my twenty years on the hill [in the Tennessee legislature], I’ve never seen such a massive intrusion into the affairs of a private company,” said Tennessee state Representative Craig Fitzhugh, a senior Democrat. When the NLRB counted the votes, the UAW organizing drive was narrowly defeated. Very narrowly. If just forty-four votes swung—out of almost roughly 1,400 cast—the union would have won. Might the underhanded threats from politicians have shifted forty-four votes? And might those underhanded threats amount to an inappropriate intervention in the election process? But Volkswagen officials, who adopted a neutral stance with regard to the initial vote, could say “yes.” If they do, key hurdles to a new election would collapse. The company has made no secret of its desire to establish a European-style labor-management “works council” at the plant. Experts on US labor relations have argued that approval of the union must be a part of that process.